CHANDIGARH: Police have arrested a Punjab Police constable for allegedly snatching a gold chain from a woman in Sector 22 on June 25. Arshdeep Singh, 26, a resident of Gurdaspur, Punjab, was posted at the Sohana police station of Mohali. He had been absent from duty for five days, police said. Zuldan Singh, in-charge, Sector 22 police post, said the accused is a drug addict and carried out the crime to fulfil his addiction. 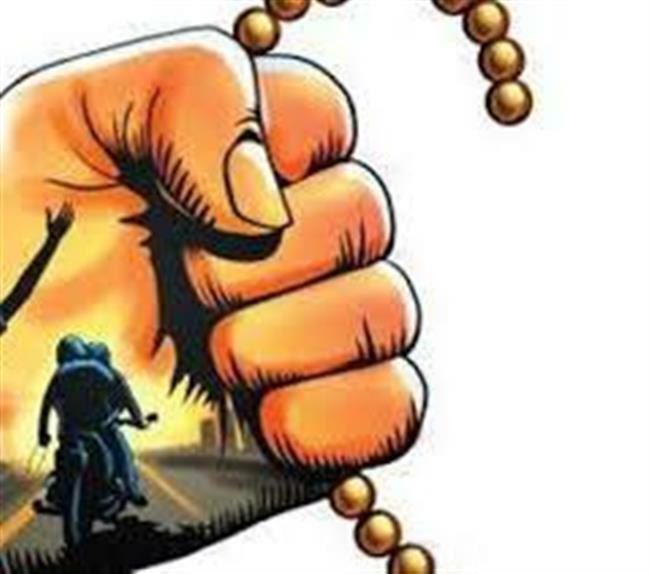 Sanjana Sharma, a resident of Sector 22, had alleged that a person on a motorcycle snatched her gold chain from near Nukkar Dhaba in Sector 22 on June 25. Police started scrutinizing footage of CCTVcameras installed near the crime scene. Police said the accused and his bike was caught in one of the CCTV cameras. After verifying the motorcycle's number, cops arrested Arshdeep from Phase VII of Mohali on Tuesday night. Police claimed the snatched chain and motorcycle was recovered from him. Cops said that they would investigate his involvement in previous theft and snatching cases in the city after they obtained his two-day police remand from a court on Wednesday. DSP K K Verma said the accused cop had mortgaged the snatched gold chain with an outlet of Muthoot finance company in Kharar, Mohali, for Rs 33,000. The motorcycle on which the accused committed the snatching was registered in the name of his father, police said. The Punjab and Haryana high court had also taken note of the spurt in snatchings, slamming the police for its failure to stem the crime and arrest the accused. On March 21, the court had summoned UT senior superintendent of police Nilambari Vijay Jagdale. Calling Chandigarh Police callous, the high court observed it seems it follows 9am-to-5pm work pattern. “Should people be told that they should not move out of their houses after 6 pm?” the court had asked. The court had also observed people on duty in the PCR (police control room) were not active, directing them to pull up their socks. Police had said most of the accused were repeat offenders and secured bail easily. In many cases, the same person by changing address stood as surety in different FIRs.